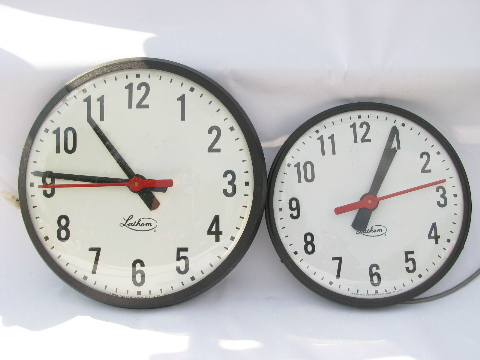 Lot of two vintage school house wall clocks made by "Lathem Time Corp, Atlanta". 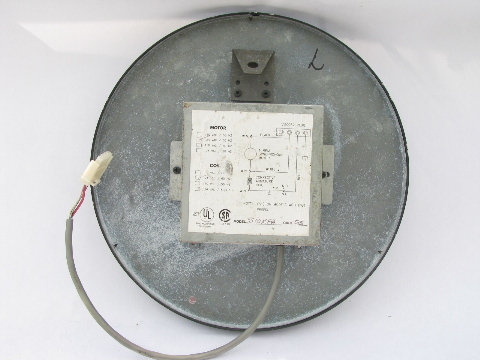 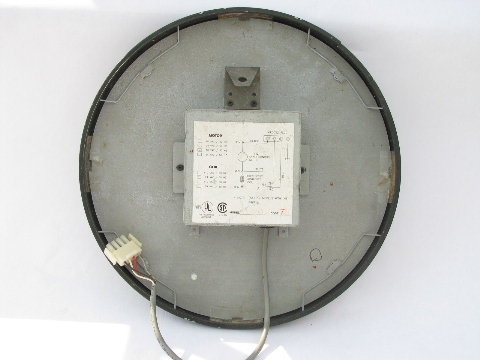 The larger clock measures about 13" across and is marked as model�SS12RFA and with the product code "TB". 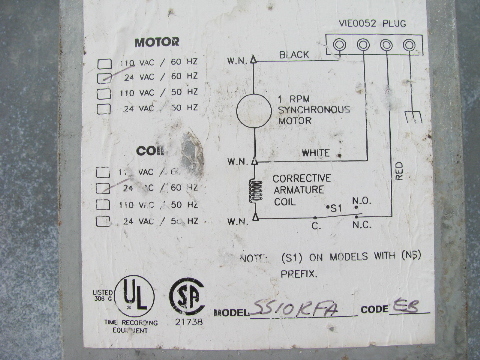 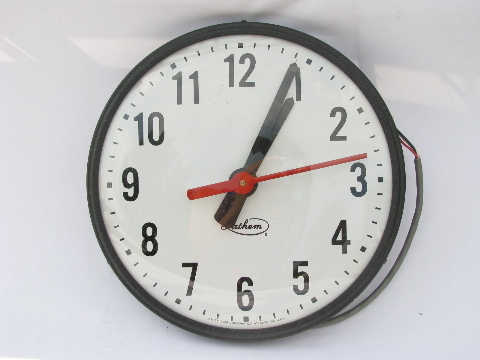 The smaller clock measures about 11 across and is marked model�SS10RFA and with the code "EB". 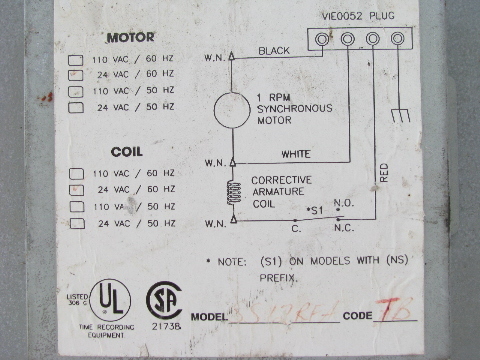 Both of these clocks have wiring schematics on the backs and seem to be marked for 24 volts AC (alternating current) electricity for both the clock motors and the coils. 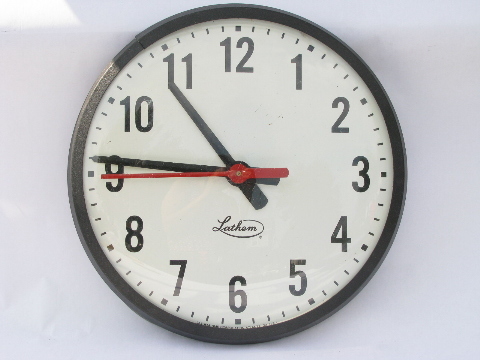 These vintage clocks are in very nice cosmetic condition, we didn&apos;t test them as we don&apos;t have access to 24 volt AC electricity.